Car Thief Car Robbery Concept Photo. 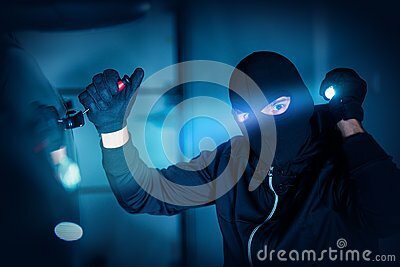 Caucasian Male Thief in Black Mask Trying to Open Car Using Custom Tool and Flashlight. Car Robber.